British Special Forces reservist turned guy-who-eats-gross-things on TV Bear Grylls will be flying to outer space on Land Rover's tab, thanks to the company's affiliation with private space-travel outfit Virgin Galactic and Bear's role as Land Rover's spokeswildman. If you ever needed proof that drinking pee can make your astronautical dreams come true, here you go I guess. Fun as it is to tease Mr. Grylls for the sensational survival tactics he's endured to make entertaining TV, he's undeniably done a great job creating a marketable caricature of himself. 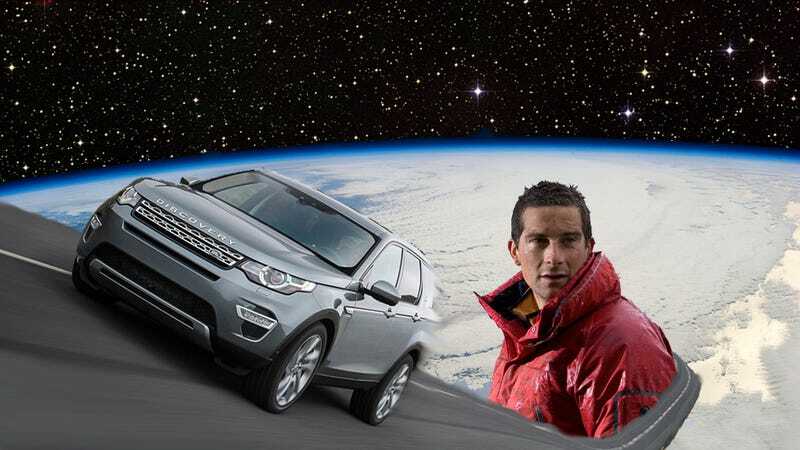 Case in point: Land Rover is sending him to freaking space. I'd probably be anybody's spokesperson if that was part of the deal. Specifically, the corporate tie-in is that Bear helped launch Land Rover's "Galactic Discovery" competition which was basically a contest of who could do the most badass outdoorsy stuff; the prize being a ride in Virgin Galactic's SpaceShipTwo, which will hit Mach 3.5 and fly very, very high. Bear delivered a classic killer soundbite for Land Rover; "I've stood on top of Mount Everest and looked up at the black above me, thinking 'there's only one place higher to go now.'"